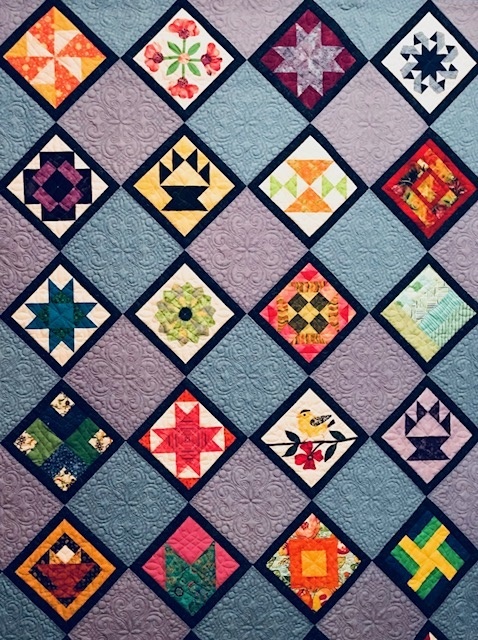 The Mancuso 2016 World Quilt New England is at the Radisson Hotel in Manchester N H August 18, 19, and 20. In order to exhibit our raffle quilt we are required to donate 32 hours of white glove time on one of the days. We have Friday August 19. and they are asking for 2 hour shifts or 4 hour shifts. In addition we need to find folks who will sit at the raffle table all three days . I don’t know if we can fulfill the request but I am thinking that we can try to get as many sign-ups for white gloving as we can and then I will call the Mancuso people and tell them what we can provide and see if we can get some concessions. I find it hard to believe any of that guilds can meet these requirements and the Mancuso people are going to have to adjust. Let’s hope that they have an attack of reasonableness. Judy Naylor and I will have sign up sheets at the June meeting.